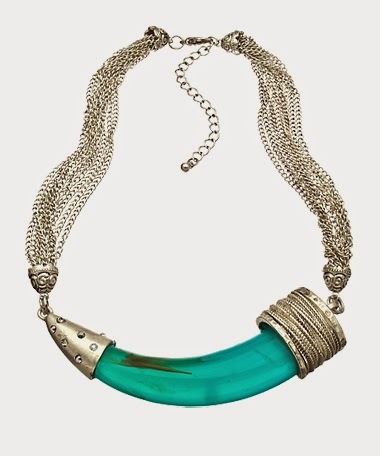 Have you entered horn necklace on pinterest lately? You will not be underwhelmed. In fact, I had pretty much pinned down ( no pun intended!) the kind I wanted until I saw the gazillion options on pinterest. The blue horn this lady has on, is a lovely option. Like I said if you go on pinterest or etsy you will see horns in all sorts of colors, with bling or no bling. Another thing I love about this look is the western hippie vibe because I feel it is doable for any age. You don't have to bare your belly, but you can kill it with a rock and roll tee, a little bit of leather and you got it! I still wouldn't mind a white horn for myself and I've had my eye on Stella & Dot's version ever since their new summer collection came out. At $49, the price is not bad. I was drawn to this beauty due to the turquoise color. It sure is a statement piece. Check out my picks below. I try to stick at reasonable prices but there is a luxury piece, just in case! 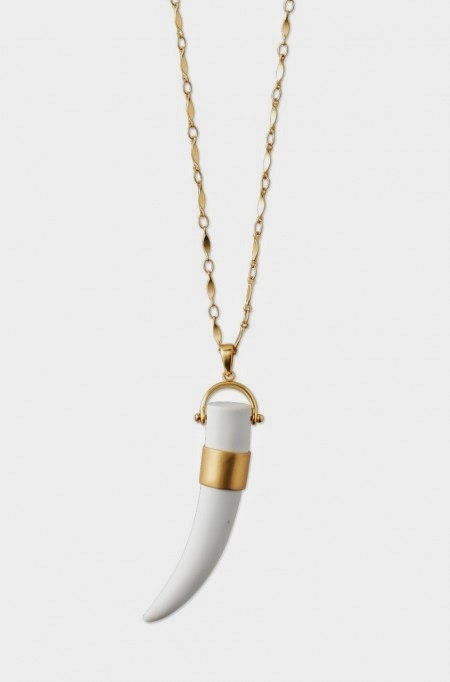 Would you go more bold or go daintier for your horn necklace? Now I want one! Love the size of the one you chose. Oh my gosh, I love the turquoise one. Beautiful.